At 34,30m (112ft) long, CYRUS ONE superyacht is an award winning semi-custom luxury masterpiece. 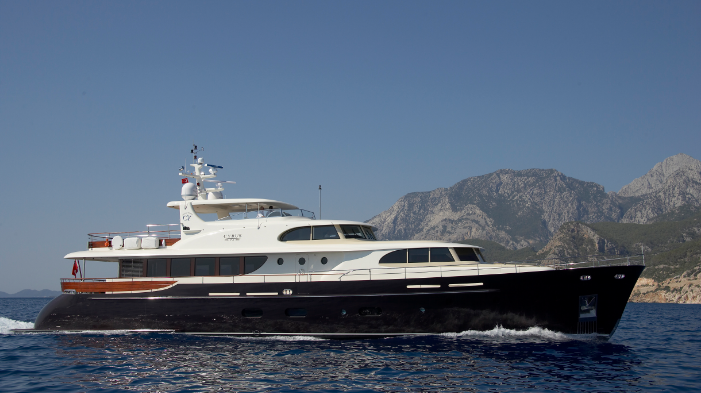 It is the first model of the 34mmodels from Cyrus Yachts, which came out in 2008. The exterior and interior styling is the product of Rene Van Der Velden. This beauty’s homeis in the Bay of Montenegro, more precisely in the beautiful medieval town of Kotor, a favorite among tourists. It is available for tripsalong the coast of south Dalmatia in Croatia, a breathtaking piece of the Adriatic Sea. When it comes to the passengers and crew, it accommodates up to eight guests, and a crew of five professionals takes care of everything during your luxury cruise. At the WORLD SUPERYACHT AWARDS, the CYRUS ONE received the title of the “Best Semi-Displacement Motor Yacht in the 30 m to 39 m size range”.Impressive. 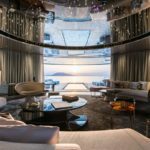 Digital Space designed the interior of the superyacht. The main salon boasts a beautiful and unique circular dining table with circular seating, while a little bit forward you will come acrossseveral comfortable couches,in front of an entertainment system with a big TV in its center. 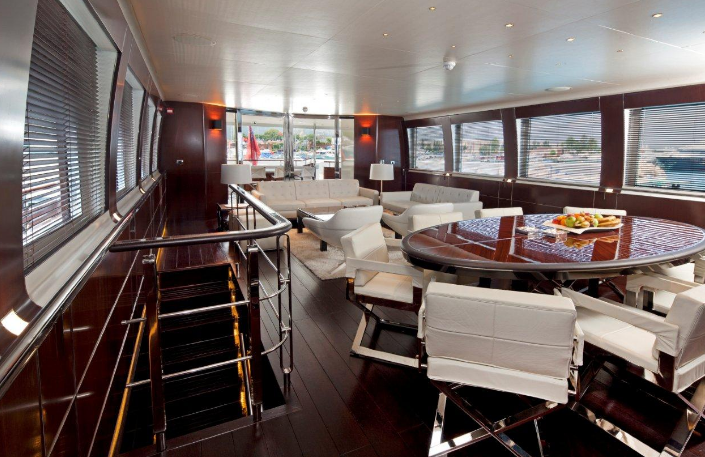 There is a private office for the guests on the main deck. 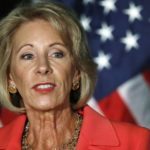 If need be,it could be converted to an additional cabin. The remaining rooms include a master bedroom and two guest cabins. Plenty of room for everyone! 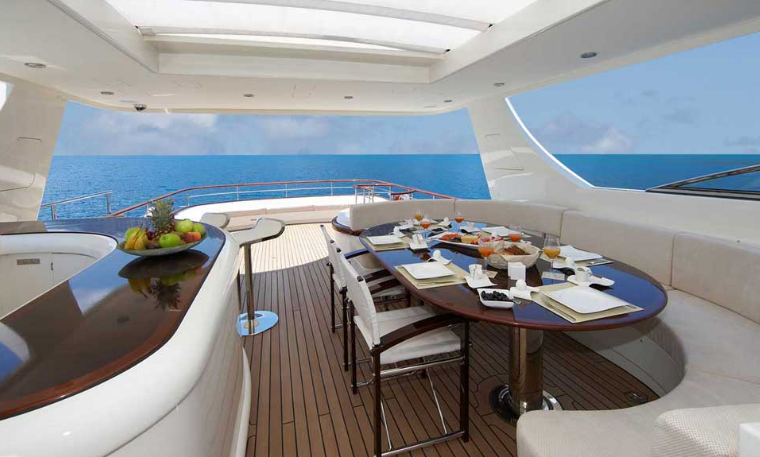 When it comes to its exterior decks, the aft deck offers open-air dining with fixed seating. 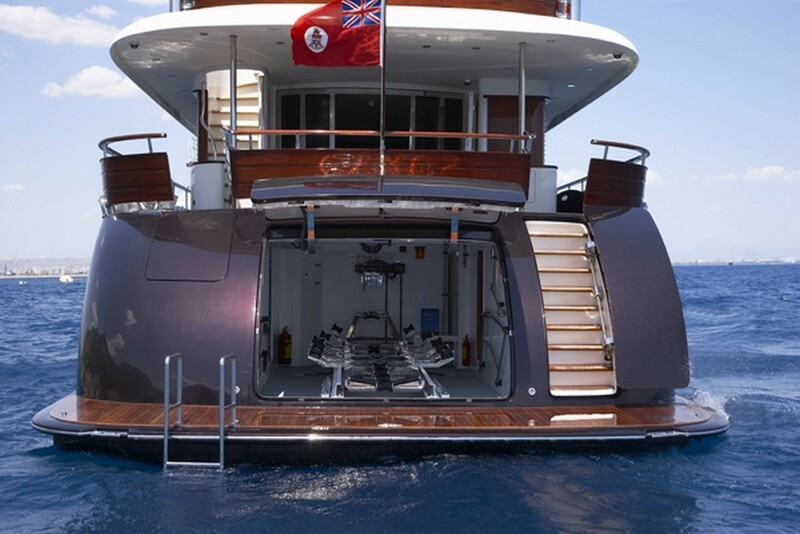 Below isaspacious swim platform and transom, while the foredeck has large sun pads for its guests to relax. The sundeck above you is perfect for entertainment. It possessesanother open-air dining table choice, a spa pool and a bar. We are sure it is here where most parties take place. CYRUS ONE is made of advanced materials like carbon and carbon fiber. This increases its overall strength while reducing the weight of the whole body. 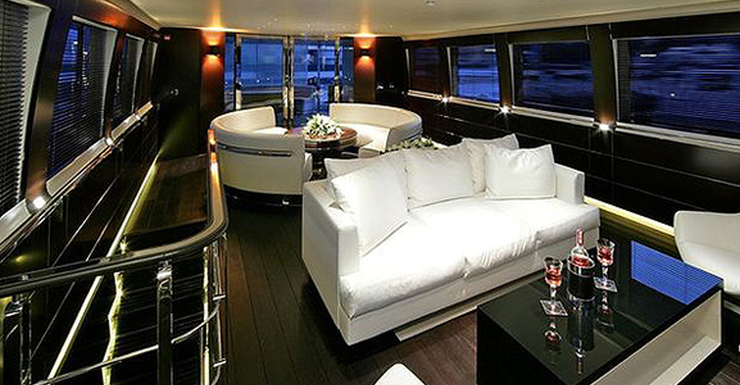 The maximum speed of this luxurious beauty is 23 knots, with a cruising speed of 18 knots. 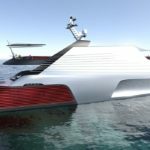 The yacht meets all the requirements RINA, MCA. 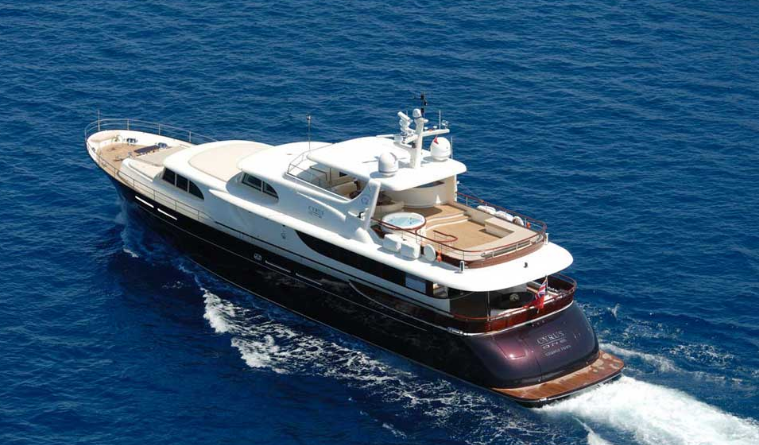 For its guests it provides comfort when anchored, as it is equipped with a modern stabilization system. It is the ultimate experience to explore thousands of islands of the Adriatic Sea, witness untouched nature and rich heritage of this region of the world. 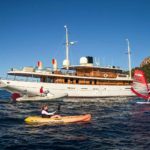 The yacht will help you discover famous historical old towns, small and colorfulangler villages, amazing secluded beaches and naturally protected bays surrounded by pine trees. Immerse yourself in that smell of the sea and nature so characteristic for the Dalmatian and Montenegrin Adriatic coast. 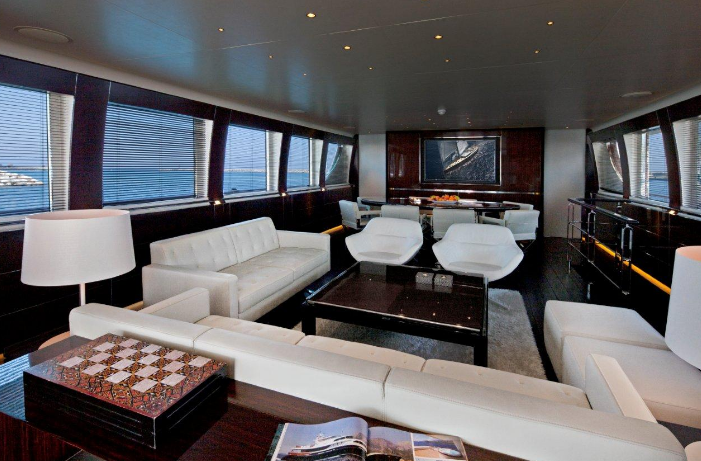 CYRUS ONE accommodates eight guests in four cabins. The master cabin features a centerline bed, while the Sony Bravia 133cm LCD TV and TVIX Premium Multimedia Player are there to entertain you. You also get a safe of course, as well as a Waeco mini fridge to cool that party booze. The two guest cabins are completely the same, each equippedwith a Sony Bravia 101cm LCD TV, the same multimedia player as the master cabin, a Sony Blu-Ray/DVD player, and the same mini fridge and safe. The office is convertible into another one of these guest cabins, with completely the same equipment. Throughout the whole boat, a SONOS music control system provides you with the tunes. When it comes to the toys you could get while on board, a Regall speedboat is available, as well as a Yamaha Jet Ski WaveRunnerfor up to 3people. This is not all, as you can get a Zodiac 4.25 with 50 horsepower or a Williams 385 jet tender with 98 horsepower. You also get snorkeling equipment, three pairs of water skis and a water slide for those less adventurous. Starting prices for this beauty are no joke. 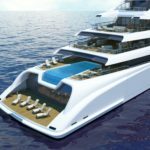 A one-week charterwill set you back at least EU €65,000. The exact price is determined on the spot, with a professional when you decide to rent it.